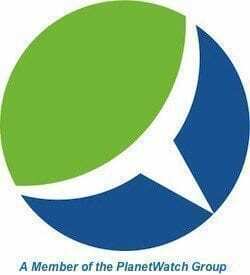 Founded in 1974 by Lester Brown, The Worldwatch Institute is an independent global environmental research organization using fact-based analysis to develop solutions to some of the most intractable issues facing the world today. The Institute’s annual State of the World report focuses on specific topics critical to social, economic and environmental sustainability. 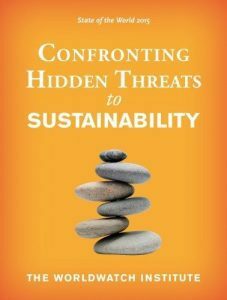 The 2015 report, Confronting Hidden Threats to Sustainability, addresses global dangers that are often ignored or unseen, as well as possible solutions to these threats. State of the World 2015 explores in-depth eight key threats to sustainability not typically discussed in news reports but lay beneath the surface of the more commonly recognized issues of pollution, water scarcity and climate change. Cheap energy is the lifeblood of industrial economies, but inexpensive, easy-to-extract fossil fuels are increasingly difficult to find, a development that is quietly driving up debt. The ups and downs of market prices for oil camouflage the underlying reality that the cost of large-scale extraction of oil in tough places is rising. Production costs have increased 17 percent annually since 2002, compared with annual inflation of 2 percent for the economy overall. Economic growth is a key driver behind the changing climate, the decline in species, and the destabilization of oceans and other major biomes. These global-scale dysfunctions make economic growth a threat that is hidden in plain view. Import-dependent countries are vulnerable to supply disruptions and high prices if supplier countries experience poor harvests or if they choose to manipulate food supplies for political purposes. More than a third of the world’s countries now depend on grain imports for 25 percent or more of domestic consumption, and a quarter import more than half of their grain. Resource scarcity and environmental degradation are impairing the value of investment portfolios. By one estimate, a carbon budget limiting temperature increase to 2 degrees Celsius will require that 80 percent of proven fossil fuel reserves remain unburned. Overfishing dominates the headlines when it comes to oceanic degradation, but ocean acidification, nitrogen runoff, and plastics pollution are serious issues as well—and are still not adequately understood. Oceans absorb carbon that cannot be taken up by the atmosphere, but this has made the oceans more acidic. Their capacity to absorb carbon is not unlimited, a threat that has unknown repercussions to human well-being. Knowledge remains limited about how climate disruptions will affect communities and people around the world—including how many people may face displacement and how well they will manage to adapt. Weather-related disasters displaced 140 million people—an average of 23 million people per year—between 2008 and 2013. Population growth and changes in land use have pushed human settlements closer to wild populations of animals, exposing humans to infectious diseases such as AIDS, SARS, and Ebola. Some two thirds of human infectious diseases originate in animals, and the jump of infectious agents to humans is facilitated by environmental degradation. “These are significant threats, but each and every one of them has solutions, especially if we commit to an ethic of stewardship, robust citizenship, and a systems approach to addressing the challenges that we face,” says Groark. The State of the World reports from Worldwatch offer a sobering, informative and realistic view of the challenges we face and how we might meet those challenges.